hey are fearless, they are independent. They’re spreading their wings to fly high. They’re elevating their feet to conquer the world. Yes, they’re women of today. And they’re in no mood to settle for being chained inside the four walls. They wish to step out, go places, cuddle adventures and taste success like good old wine. Said easier than done, right? Considering crimes ripped through the entire country causing havoc in our heads, the mere thought of being solo traveller for a woman is daunting. But hey! It’s not all black & white here. By the grace of God and some sensible citizens, there are still a bunch of places left in India that don’t give you panic attacks even if you’re roaming all alone. So ladies, take your backpack and put on your sneakers. Here comes a freshly baked list of 10 safest destinations in India for solo women travellers. Book your tickets now! Nainital, a hill station situated in the solitary valleys of Uttarakhand,is truly the definition of a paradise on earth. It’s magnificence and charm attracts thousands of tourists every year. The local people known as kumaoni are well known for their extreme pleasant and warm nature. The small town of Nainital offers remarkably safe and secure environment for single women traveling around. If you are women who is trave alone, Nainital can be one of the best options. It’s an amazing place to tour all by yourself. 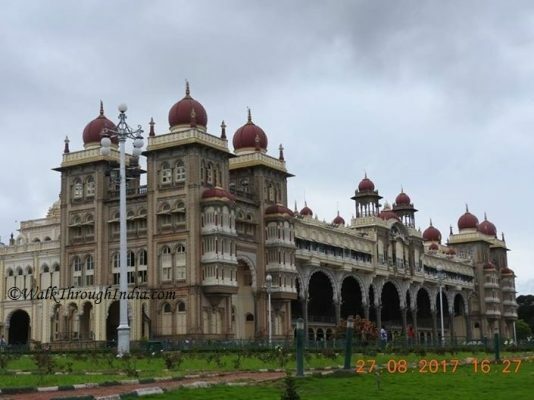 The city of palaces, Mysore is believed a safer region for women travellers in India. Evidently it has been noticed that South India is one of the safest place for women traveling alone. The friendly and gentle people around makes it secure for females to linger around safely even after dusk. 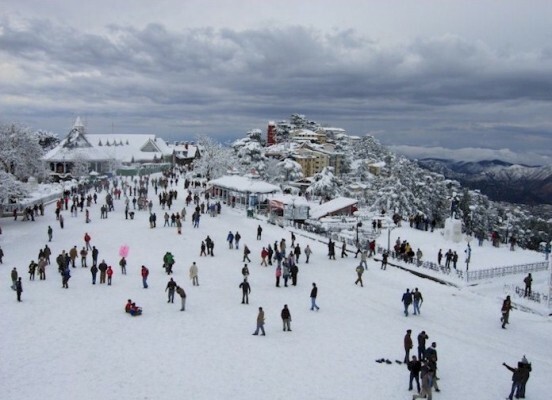 Hill stations are considered as the least unsafe places in India as they are less populated and small in size.So ladies you can feel all secure and sound even after twilight on the streets of shimla and enjoy it’s pleasant beauty.This Hill station is an ideal destination for the solo female travellers as it attracts thousands of people every year from different parts of India. If you are a seaside person, no place would be better than Kovalam for the ladies who wish travelling alone. This place is ultimate for beach lover and for those who desire to explore some of the beautiful beaches that India caters. Most prominent beaches of Kerala are offered by Kovalam. Kovalam beach, Lighthouse beach and Hawa beaches are amongst the best beaches of India. So ladies pamper yourself with the exotic and luxurious beach resorts on your solo trip. There is no reason to miss out the trip to the most attractive part of our country. It’s breathtaking scenery is going to mesmerise you extensively.The mount Kanchenjunga is completely covered by the layers of snow all around . Tsomgo Lake and Gurudongmar Lake is the ultimate charm of Sikkim. The valley of Sikkim are well famous for their most pretty treks,so if you have got an adventure freak in you then don’t step back from taking the most admirable treks of Sikkim. Dzongri La Trek, Goecha La Trek and Green Valley Treks are the most famous treks of Sikkim. Aside from being extraordinarily attractive , the warm hearted and friendly locals and a safe environment makes it an absolute destination for a female solo traveller. Popular as ‘Mini Switzerland of India’, Khajjiar is one of the most off-beat destination as a solo traveller. The clean grasslands are layered with the canopy of rich green grass with the mountains covered with snow in the background, I assure you that this scenery can be no less than Switzerland.So for the ladies travelling alone can stay positive and happening while travelling inside the boundaries of Khajjiar . Varanasi is considered as the most peaceful place to visit. It brings you with enormous experience of the Indian Culture along with the beauty of ganga and its ghats. The glittering of thousands of diyas along the ghats of ganga and the evening prayers gives immense pleasure to our mind and soul.So my dear ladies, plan a trip to Varanasi which is completely safe for solo travellers and experience the best part of Indian culture. Kasol has acquired much popularity in the past few years as an amazing tourist destination of Himachal Pradesh. The flawless charm of nature has got the ability to burst out your stress at its best. Kasol is a classic tourist destination which always remains crowded with people from all parts of India. Ladies, you can simply sit on and relax on the valleys of Kasol. As traditional as it may sound, Rishikesh is equally geared towards the more fun and adventure loving amongst us. With activities like white water rafting, rappelling, and fox flying, the place serves as the one stop destination for solo women travellers. In case if adventure is not your cup of tea they also have some nice yoga classes you can try out in the backdrop of the scenic beauty of Himalayas. Technically an Indian union territory but what looks more like a French city, Pondicherry provides what a lot of places in the country are sorely lacking, a moment of peace. The calm and serene setting look lets you leave behind your old baggage. Also, a great place for shopping and for trying the delicious french cuisine, Pondicherry is certainly full of amiable people who are happy leading their simple lives.